To learn about the basic process of transferring metadata to AVID please refer to the article Transferring Metadata to Avid Media Composer. The article will help you through the process of matching metadata from an ALE file generated from Silverstack to master clips in Avid. Figure 1: Include the CDL Values in the according columns of the ale file. 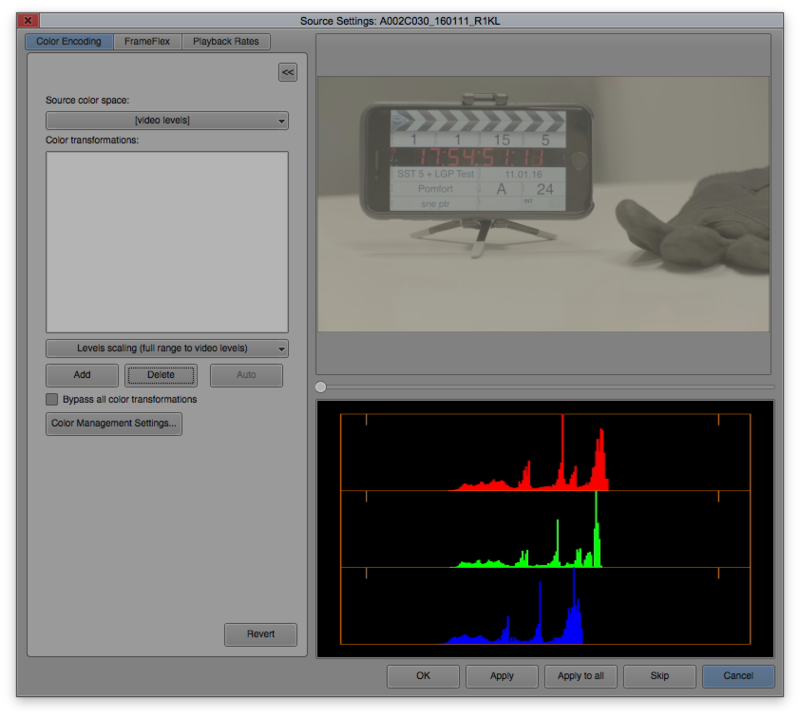 After the values are included in the ALE file perform the same steps as pointed out in the article Transferring Metadata to Avid Media Composer. 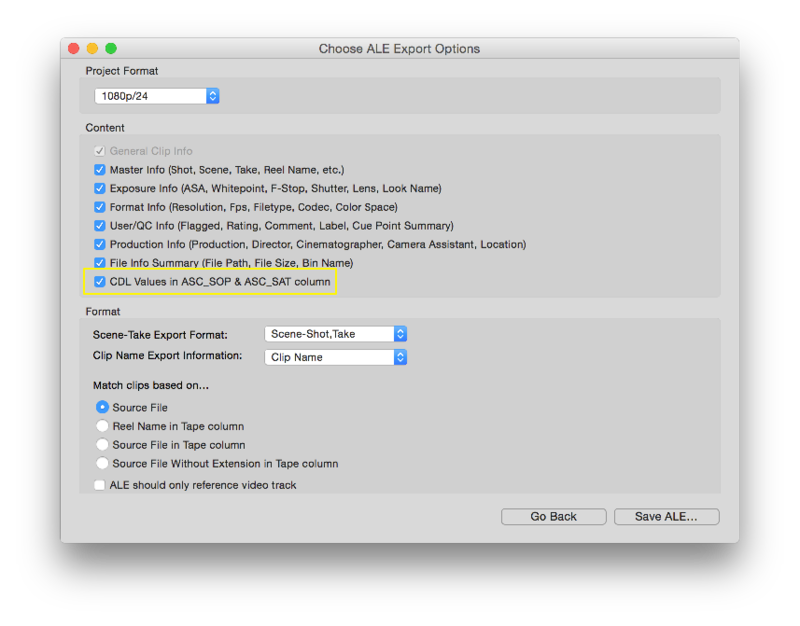 The result will be clips that have the CDL values from Silverstack in the ASC_SAT and ASC_SOP metadata columns in AVID Media Composer. 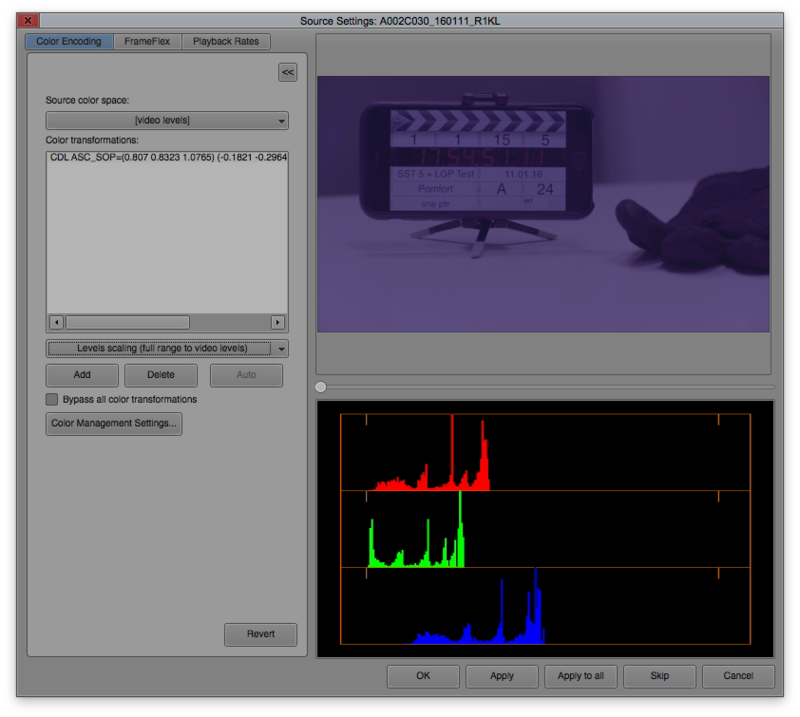 We will now use the color metadata information from the ASC_SAT and ASC_SOP column to apply them to the clips. Figure 2: The bin with selected clips and the reel icons marked. Figure 3: The Source Settings with the Color Encosing tab selected. Make sure to have the tab “Color Encoding” selected at the top left of the window. 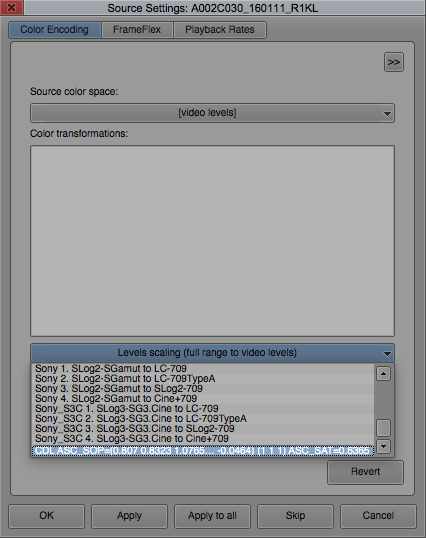 Click the dropdown indicator in the menu where it says “Levels scaling (full range to video levels)” below the “Color transformations” list. Figure 4: Choose the CDL ASC_SOP and ASC_SAT values from the bottom of the dropdown list. Figure 5 : The Source Settings with CDL values in the Color transformation list. Now click “Apply to All” on the bottom of the window to apply the according CDL values to every clip. Click “OK” to leave the wizard. Every clip will now receive the look that is generated from its associated values in the ASC_SAT and ASC_SOP columns. To add a 3D LUT again select all the clips you want to apply a LUT to. Perform a right click on the film reel icon on the left of an arbitrary clip and from the context menu choose “Source Settings”. Make sure that the CDL entry is on top of the LUT entry in the list. They will be applied in order from top to bottom as in the nodes in Silverstack. Now click “Apply to All” to add the LUT to all the selected clips. Then click “OK” to leave the wizard. The clips will now all have and additional LUT added to the CDL processing.